After a long day at the hospital comforting a sick child, making dinner should not be a pressing concern. 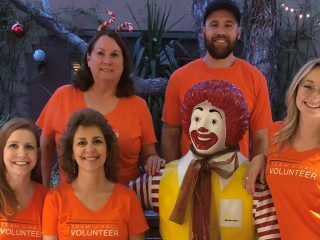 Team U-Haul spent the evening of Oct. 18 volunteering at the Ronald McDonald House Charities Roanoke House in Midtown Phoenix preparing and serving dinner for guests there. Ronald McDonald House Charities serves as a “home away from home” for families with children facing medical challenges. 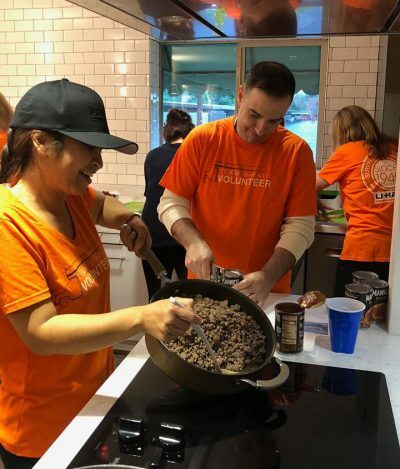 Ronald McDonald House locations offer dinner for their families every day of the year, compliments of the corporations and individuals who donate their time and money to assisting a good cause. U-Haul has partnered with RMHC of Central and Northern Arizona for several years. U-Haul volunteers are always eager to participate in the Dinnertime Heroes program. 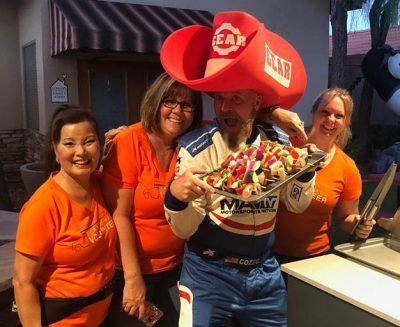 Team U-Haul opted for a BBQ-themed dinner to utilize the outdoor grill as the temperatures dropped a bit in October. In just one hour, chicken-and-vegetable kabobs, sloppy Joe sandwiches, mashed potatoes, salad, fruit bowls and cupcakes were ready for guests. RMHC relies on volunteers in order to continue providing the highest quality care for their guests. U-Haul strives to make a difference in the community by helping people meet their basic human needs through partner organizations. 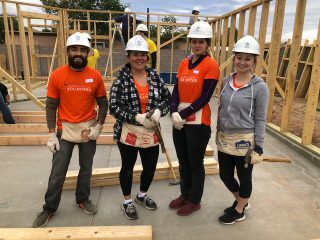 Thanks to U-Haul volunteers: Jennifer Staley, Kat Miles, Mary Rivera, Stephanie Rich, Toni Norcia, Joy Hodge, Kathy Carrillo, Shannen Allen, Lanny Olds, Tony Hinojosa, Kelie Hale and Megan McDermott. Learn more about U-Haul community outreach and philanthropic objectives by visiting uhaul.com.